If you believe in fate, just consider this: April 2003 - My Dad and I are supposed to be going to a Bruce Springsteen concert in Ottawa, but instead we find ourselves in Culpepper, VA trying out Chianto - whose barn name at the time was Springsteen! It was apparent from the start that Chianto was a talented jumper. With an abundance of scope, he was light across the ground and quick through the air. Definitely more of a "blood" horse, he required an accurate and sensitive ride but there was just something about him that I loved... so we bought him that April as a 7 year old from Ole Strigel (DK-USA Sporthorse). 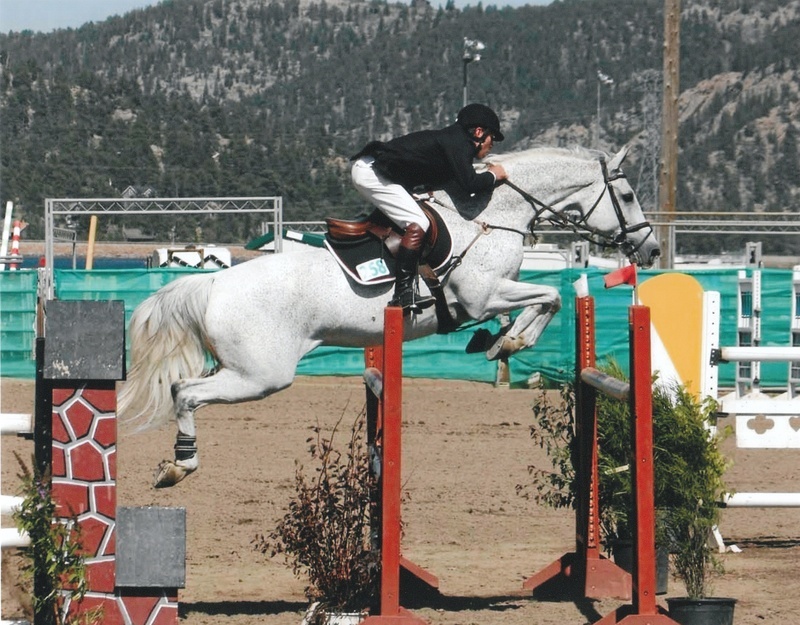 I spent 2003 getting to know Chianto and develop a partnership with him - even so, that year we experienced success in the competition ring from the 1.10m Junior/Amateur division at Spruce Meadows through to the 1.30m Junior/Amateur division at Tournament of Champions (Palgrave, Ont). 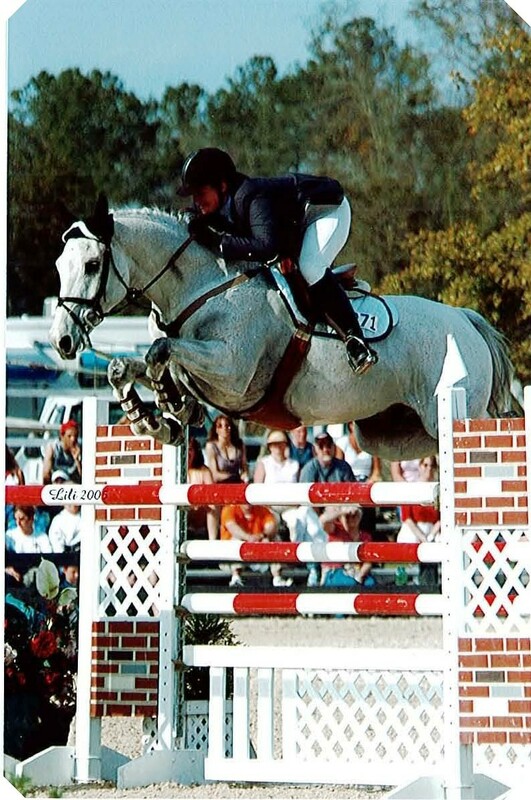 In 2004, I competed in the 1.30m and 1.40m divisions. As this was an Olympic year, Ian Millar was attending Valkenswaard as the last outdoor European competition prior to the Games. He secured invitations for the Special Invitaional division for three students (Lauren Hunkin, Karen Sparks and myself). During those three weeks of competition, Chianto and I found ourselves in the victory parade a total of 6 times in 8 classes (1.35m). However, three times we heard the Canadian National Anthem in honour of our victory!! Aside from Valkenswaard, another major highlight from that season would have to include being named the Overall Next Generation Champion at the Tournament of Champions (Palgrave, Ont). Again in three competitions, we placed 1st, 2nd and 3rd to take the victory! The years 2005 and 2006, saw Chianto and I entering into the Open Division and competing in our first Grand Prix's together. We were even featured in one of the episodes during the inaugral season of "Along for the Ride"... We had many placings, but seemed to make a habit of placing either 3rd or 6th in the majority of our classes. 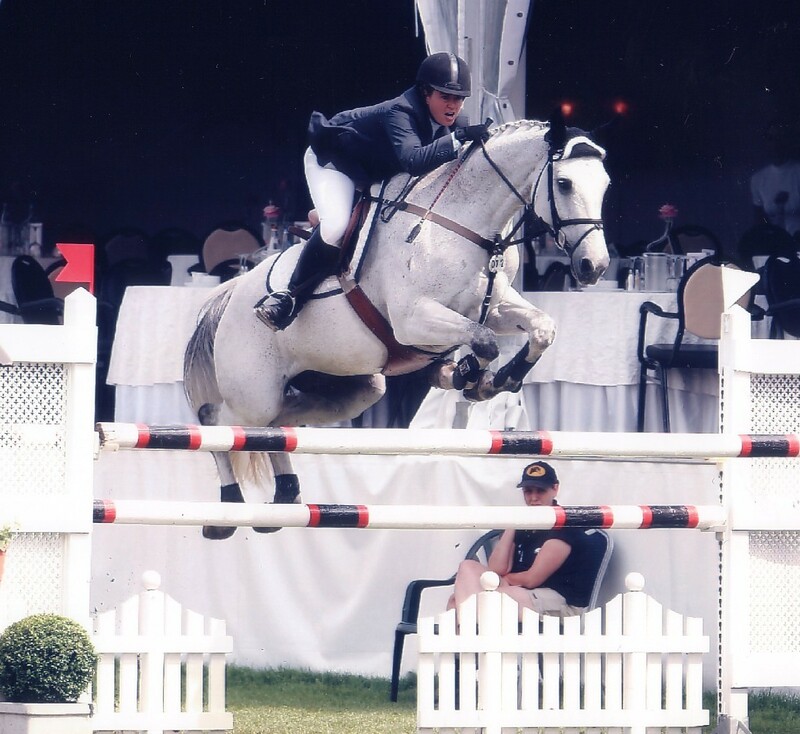 Jonathon Millar, son of the famous Ian Millar, competed with Chianto throughout 2007 as I had to rehabilitate from an injury sustained in preparation for the Pan-American Games Trials. Jonathon had numerous placings in various competitions throughout the year. Highlights were a 3rd place in the Blainville World Cup Qualifier and winning the $25,000 Speed Derby at the Tournament of Champions. For 2008, Chianto was placed with Canadian rider John Pearce. This new pairing had numerous successes during the HITS Thermal circuit. With the sale of John's top mount at the time, Archie Bunker, the decision was made to leave Chianto in John's care to be his #1 Grand Prix mount. That first year in the Grand Prix's saw John and Chianto just verging on greatness... all lot of four fault performances let us know good things were to come... Consistancy has always been one of Chianto's strengths and soon those clear rounds started showing themselves! Highlights from the season were three consecutive $25,000 Grand Prix victories at Estes Park, Colorado along with numerous 2nd place finish throughout California. With an extremely strong 2009 season, the winning ways of this duo carried through to the 2010 show season. We couldn't be happier about the partnership that has developped between John Pearce and Chianto!! 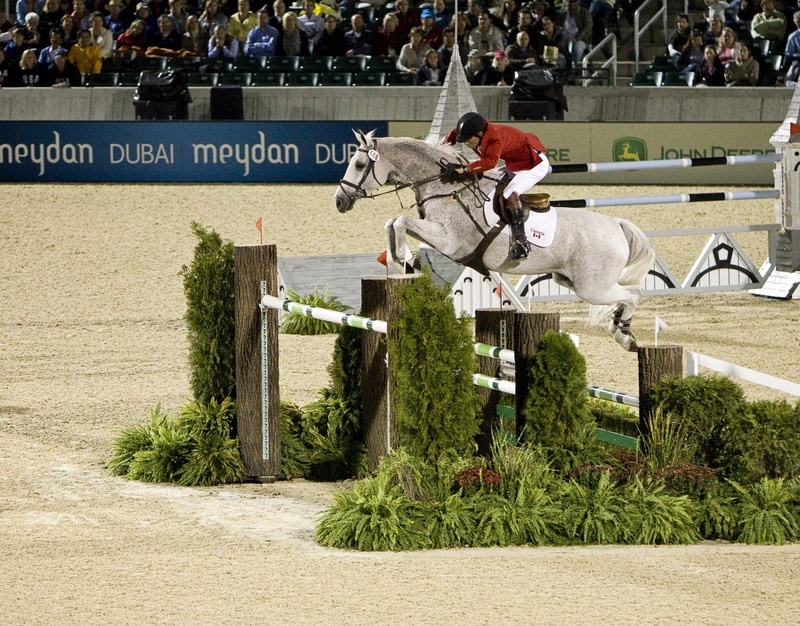 July 14, 2010 — Jump Canada has announced the Long List of candidates in consideration for the Canadian Show Jumping Team at the 2010 Alltech FEI World Equestrian Games taking place September 25 to October 10 in Lexington, KY. Among those riders is John Pearce and Chianto!!! September 12, 2010: Pfizer $1 Million Grand Prix John and Chianto had just one time fault in the class (106.507 in a time allowed of 106) to place THIRD and receive $120,000US in Prize Money!! WOO HOO!!! 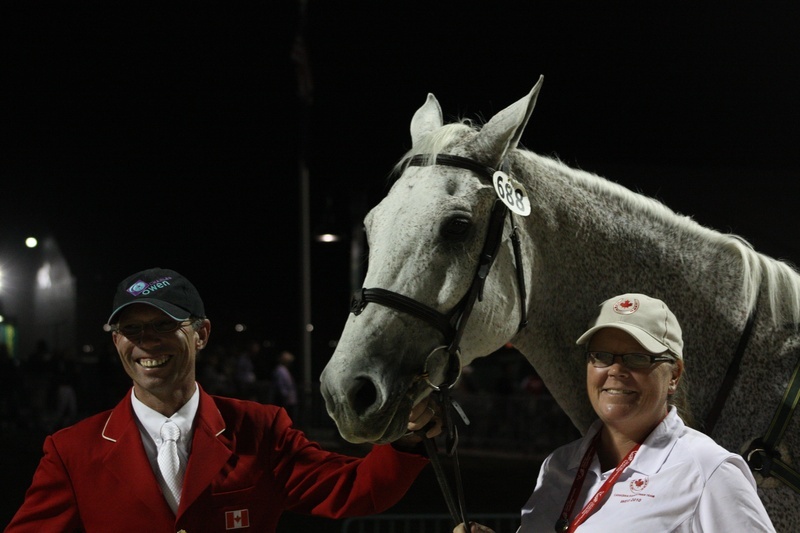 September 15, 2010: John Pearce and Chianto have been named to the Canadian WEG Team!! October 10, 2010: With the World Equestrian Games now over and dreams for the London Olympics just beginning, Chianto is going to be able to enjoy some down time from competition. Look for him back in the ring during HITS Thermal 2011. November 10, 2010: Thanks to the wonderful partnership of John Pearce and Chianto I was blessed with being named the Jump Canada Owner of the Year!! Chianto: Successful at World Equestrian Games!! Team 5th and Individual 8th place at the 2010 World Equestian Games, Kentucky! **February 27, 2011: While competing on his horse Lionel, John fell off and broke his collarbone. He will be taking the next few weeks to recover, so it is doubtful that Chianto will show again at Thermal this season. We wish John a speedy recovery and look forward to the rest of the show season. March 11, 2012: Posted a double clear in the $200,000 Grand Prix to place second and finish off the HITS Thermal winter circuit. JP and Chianto place second in the inaugural AIG HITS Thermal $1 Million Grand Prix!! UPDATE: Chianto is getting a well earned rest a little earlier this season than originally planned... I am pleased to announce that John and his wife Gretchen were gifted with a beautiful baby boy on November 5th! Congratulations to the very proud parents!! It's hard to believe that Chianto is turning 18 years old this year and is still going strong and loving his job!! He is truly amazing. Canadian John Pearce and his amazing horse, Chianto, stood victorious at the $25,000 Twisted Tree Farm Grand Prix this afternoon, on the grass Grand Prix field at the Santa Fe Summer Series. Hundreds of VIP guests enjoyed a champagne brunch while watching the best of showjumping excitement. Beside Mr. Pearce were Janet and Larry Hischer of Twisted Tree Farm and HIPICO leadership Brian and Phyllis Gonzales with Guy and Sharon McElvain and their daughter, Grand Prix equestrian, Chenoa McElvain. Courtney Frederick of Colorado took second, riding her mount, Soulshine. Third place rider, Matt Cyphert, was impressed. “We are thrilled to be in Santa Fe and about the future of this new event. The jump-off was exhilarating, and John Pearce is as good as it gets! It was a pleasure to watch him ride his go-to horse, Chianto. We all tried to beat him – but we just couldn’t do it this time!” Christian Heineking took fourth and Madison Breen, whose trainer is Janet Hischer of Twisted Tree Farm, took fifth. This amazing horse show, The Santa Fe Summer Series, features 600 world-class equine athletes during a three-week event, is free to the public, Wednesday through Sunday August 5th – August 9th. 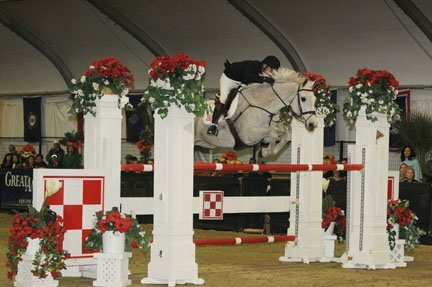 Signature Special Classes and Grand Prix jumping events begin each Saturday at 2:00pm and Sunday at 1:00pm. In addition to exciting horse sport, the Blue Corn Brewery Beer Garden is open with no admission charge, Fridays through Sundays. There is so much to see at this exciting horse show. Come one, come all to this spectacular equestrian event! Twisted Tree Farm is a complete horse training stable and sale business. Established in 1984, Twisted Tree is dedicated to showing champion hunters, jumpers, and hunt seat equitation at all levels throughout the United States, Canada and Mexico. The Twisted Tree Farm equestrian school offers upscale horse boarding and training, riding lessons from beginner to advanced, summer and holiday camps, quality sport horses for sale, internship program and much more. Twisted Tree’s team is enthusiastic horse people who are dedicated to training top quality horses as well as competitive and pleasure riders. It has been a long hard decision to make ... but we all feel that the time is right to retire Chianto from the competitive show ring. He is sound and happy getting his turnout and running the barn like the king that he believes he is (although we all know that it is the truth!)! We felt that Chianto deserved to retire while still at the top of his game ... I know that he will enjoy having his turnout and hacking sessions around the farm ... with the mints and carrots to keep him happy too!! Cheers Chianto! It has been a most wonderful ride that you have taken us on! !